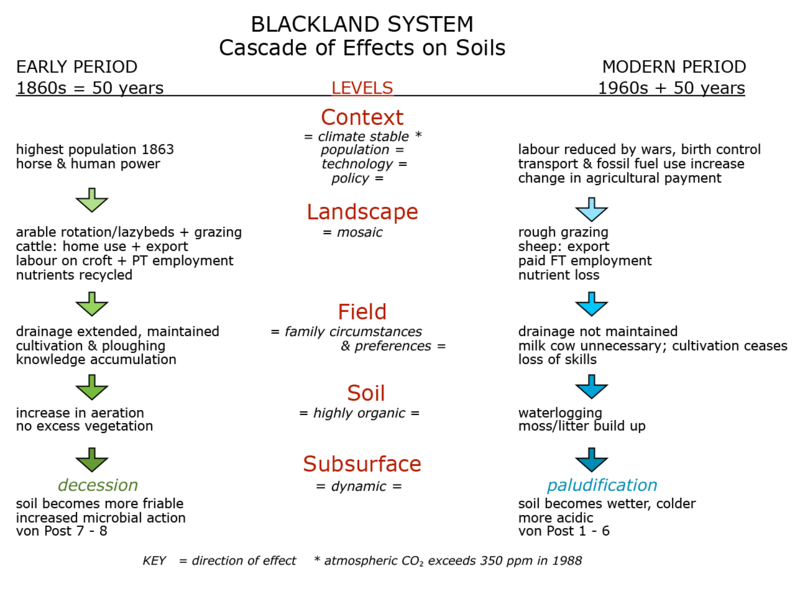 This table shows some of the relationships among factors which cause change within the blackland system, over two time periods and five levels. One pathway leads to soil improvement or “decession”, and the other to declining functionality or “paludification”, (Okruzko & Illnicki, 2003). 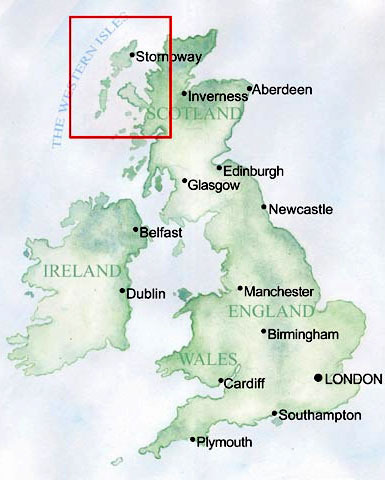 The Early Period (1860 to World War I) covers the peak of traditional crofting, with maximum land use corresponding with maximum population and maximum soil development. The Modern Period (1960 to 2010) was a time of significant decline in land use, population and soil health.